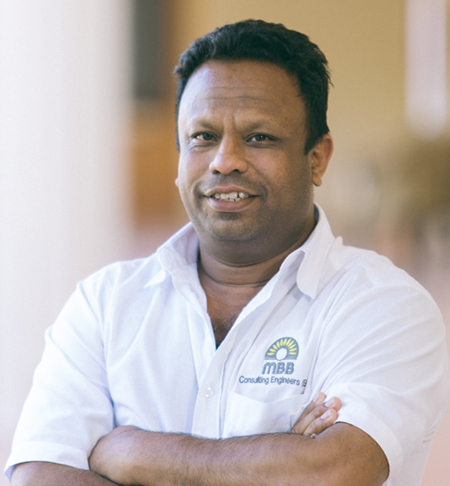 Pravesh Nosib, a Professional Civil Engineering Technologist, registered with ECSA, is a director of MBB Consulting Services (EC) Pty Ltd involved in the project management, civil designs and construction supervision of built environment projects. He is also registered as a Labour Intensive Construction practitioner with his NQF 7. He has been involved with the project management of the Expanded Public Works Projects, (EPWP) such as Working for Water and Working for the Coast of the Department of Water and Sanitation, Department of Environmental Affairs and National Department of Tourism from 2000 to date. Pravesh has more than 20 years of experience in the project management and built environment sector.